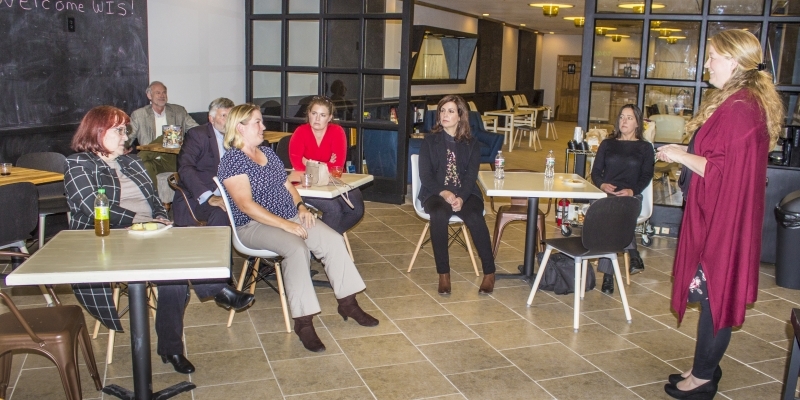 ISSA Women in Security held their inaugural meeting at Michelle’s Makery on Tuesday, Oct. 24. The group is working to increase the representation of women in technology. 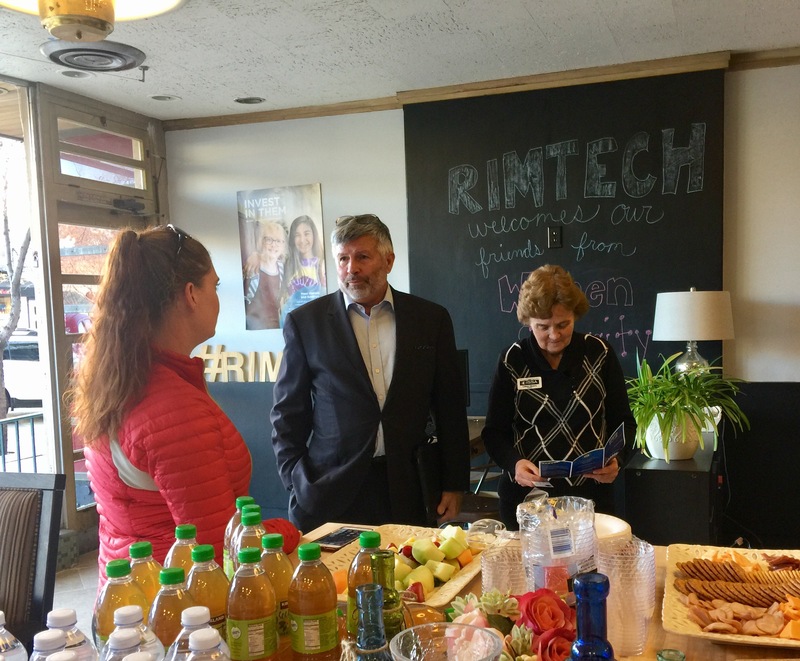 Rim Technologies was pleased to host this event at our location and to take part in this important discussion. At the meeting, Rim Technologies CEO and Founder Sara Kinney spoke on creating pathways to a cyber/technology career. The speech dealt with the question of whether apprenticeships could be a solution to the current process of obtaining a security clearance. If you’re interested in the field, keep an eye up for these quarterly events on ISSA’s calendar. ISSA Chapter President Colleen Murphy (pictured below) is interested in starting more focus groups in areas such as healthcare, education, and defense. It will be another way to leverage ISSA’s over 500 members to facilitate conversation on these key topics. Frank Gearhart (center), former ISSA Chapter President; Colleen Murphy (right), current Chapter President of ISSA; and Martha Laughman (left), SecureSet Academy.